Woodland gardens are set to be a trend in the Chelsea Flower Show this year, as gardeners are being urged to create miniature woodlands to attract wildlife and reduce pollution. This return to a much more natural gardening style reflects the growing concern to consider the environment and climate change when creating a garden. A canopy of trees can provide some much-needed relief from the hot summer sun but often it can be a challenge to know what to plant in these shady areas. Luckily, we have compiled a list for you to help get you started. Keep reading for our top five shade-loving plants, ideal for creating your own woodland garden! 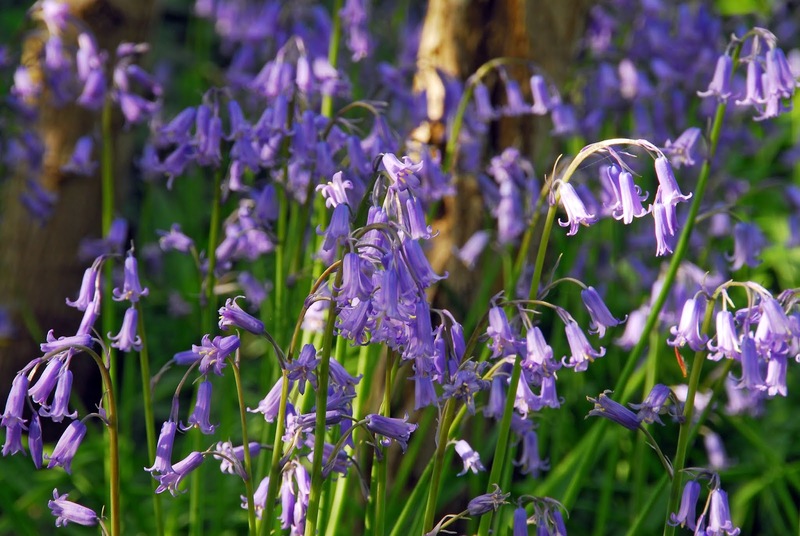 The very best plant for woodland areas, Bluebells grow naturally in woodlands throughout Britain. They’re low maintenance and add a glorious pop of colour to those shady areas of the garden. 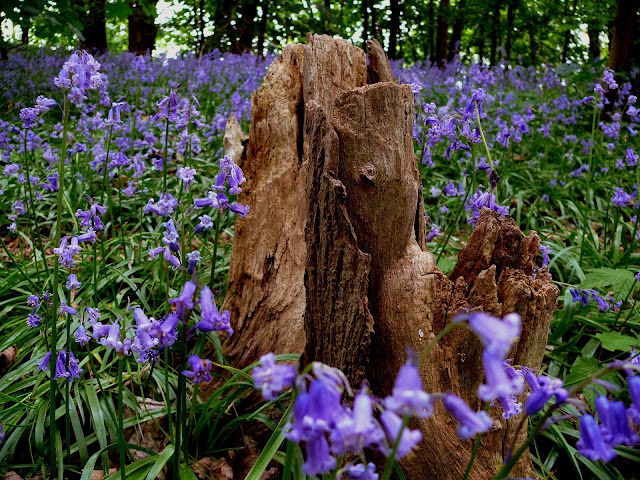 The classic English Bluebell is perfect for creating a carpet of blooms, just like what you would see covering the ground when walking through an English woodland. 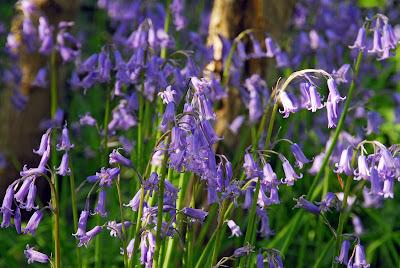 Nodding violet-blue flowers are produced in the spring, making the Bluebell a quintessential sign of a British spring. Actaea thrive in partial or full shade so are perfect for a woodland garden. Their tall bottlebrush spikes hold fluffy flowers in summer, adding texture and height to the garden. Given an RHS Award of Garden Merit, Actaea Racemosa is an ideal addition to an informal woodland garden. 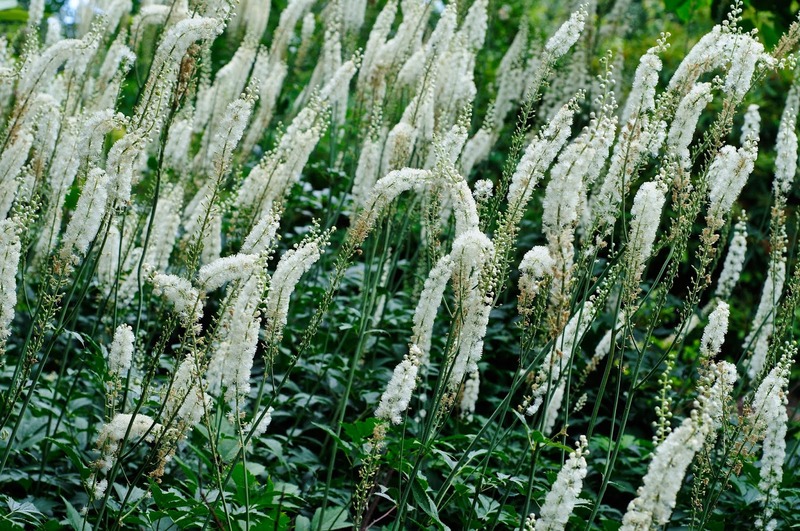 White flower spikes tangle to form a mass of blooms that attract the bees and butterflies and give a contrast against the deep green foliage. 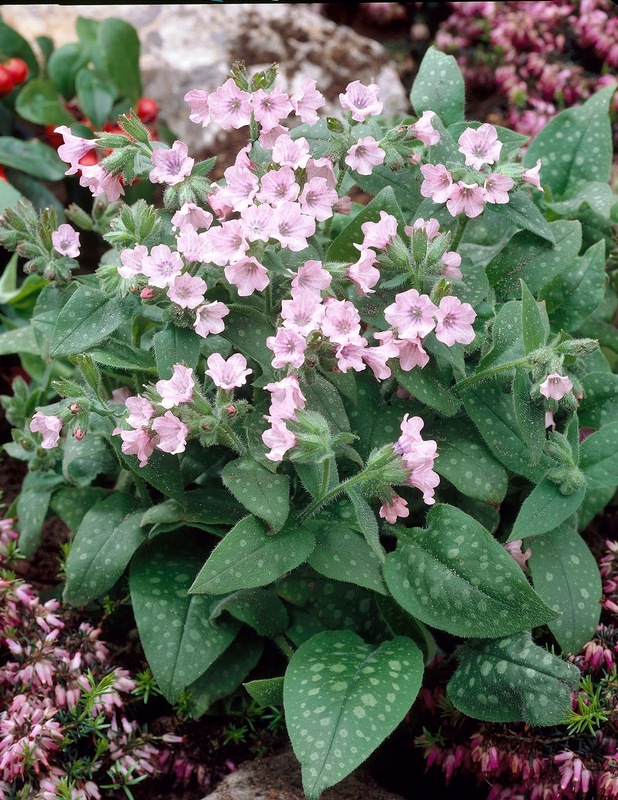 Known for their intriguing silvery marked evergreen foliage, Pulmonaria are great for brightening up shady areas of your garden. 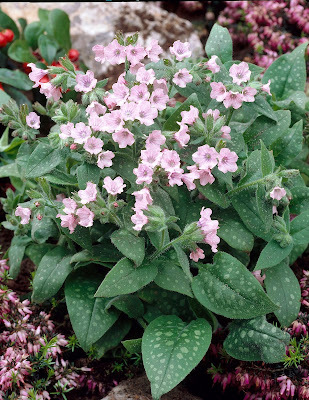 Pulmonaria Doral Bielefeld has been given an RHS Award of Garden Merit and it’s easy to see why. Pretty pink funnel-shaped flowers appear in spring that fade to blue as they mature. A great plant for planting in amongst shrubs. These shade loving plants are perfect for planting underneath trees. Hanging star-like flowers appear in spring through to summer among heart-shaped leaves. 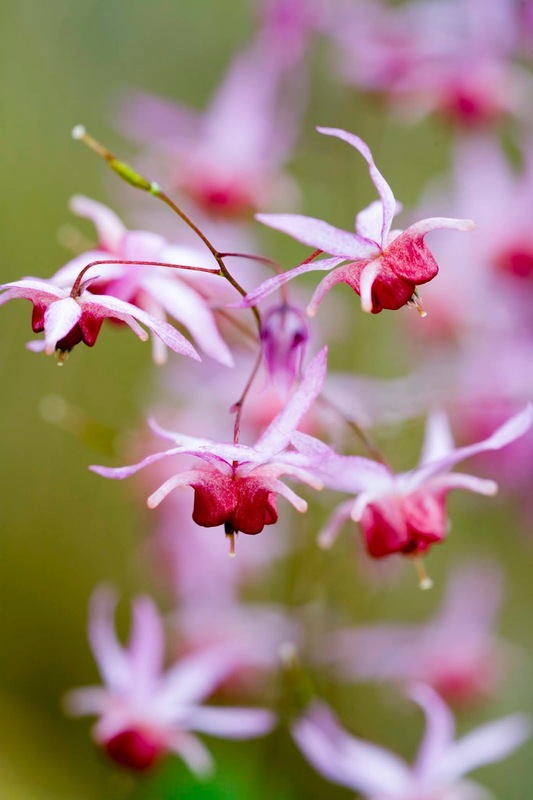 Epimedium Pink Elf is a particularly beautiful variety. Dainty soft pink flowers with reddish centres bloom in the spring among green heart shaped foliage that then becomes tinged with bronze colour. 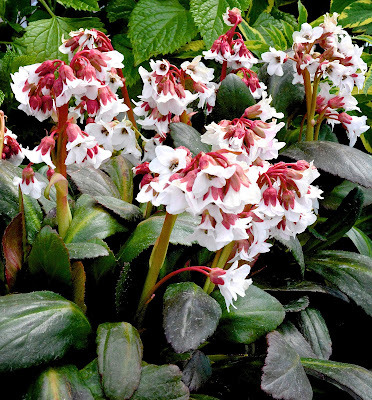 Also known as pigsqueak due to the noise the leaves make when you rub them together, Bergenia is a wonderful alternative to Hosta perfect for shady spots. New to us this year, Bergenia Fire and Ice is bold and architectural. White flowers with dark pink sepals appear in clusters in spring above evergreen foliage. Creating a woodland garden need not be difficult as there are many lovely plants to choose from. I hope this has given you some inspiration to create your own woodland haven.